• Entry to be sent via email only (snookershootout19@gmail.com).
" LAST DATE FOR ENTRIES HAS BEEN EXTENDED TILL FEB 10, 2019. INDIVIDUAL PLAYERS CAN ALSO SEND IN THEIR ENTRY IF THEY HAVEN'T FOUND A PARTNER AND THE TOURNAMENT COMMITTEE WILL HELP THEM FORM A TEAM WITH A LIKE MINDED PARTNER." 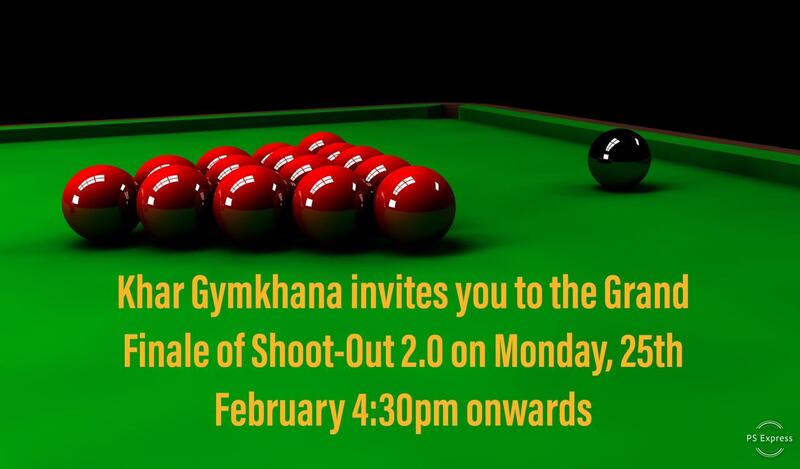 Prize Upto Pre-Otr-Finals, And Also Highest Break. No player can play 2 consecutive singles frames, and the teams should decide their players by chits. All handicaps will be decided by the Tournament committee and no individual suggestions/complaints will be entertained. Dress Code :: Collared T- Shirts and Jeans Allowed, Any Shoes Allowed. If any team arrives 15 Minutes Late. They will have to award a Walkover.